Bradley Jacobs’ XPO is paying an undemanding 3.2 bln euros with debt for French trucking firm Norbert Dentressangle. The U.S. buyer’s timing is good: the euro is weak while France is increasingly open to deals. And the capital markets could hardly be better for M&A machines. 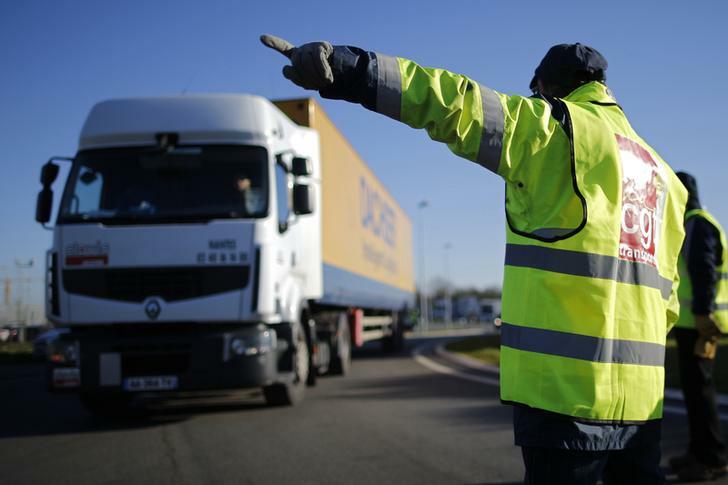 XPO Logistics has agreed to buy France’s Norbert Dentressangle in a friendly, all-cash deal worth 3.24 billion euros ($3.5 billion) including 1.08 billion euros of net debt. The Greenwich, Connecticut-based XPO said the deal would create one of the world’s 10 biggest logistics companies. The combination will increase XPO’s headcount more than five-fold to 52,350 and take it from seven countries to 27. EBITDA will more than triple to $545 million, and revenue will more than double to $8.5 billion. Bradley Jacobs, XPO chairman and chief executive, is pursuing the same consolidation strategy he used to create United Rentals, the $9 billion heavy-equipment renting specialist. This would be XPO’s fourteenth takeover since 2012, Thomson Reuters data shows. Founder Norbert Dentressangle will sell his family’s 67 percent stake in the Lyon-based company for 217.50 euros per share, the two companies said on April 28. That is a 34 percent premium to the stock’s April 27 closing price. XPO will offer to buy the remaining shares at the same price. Norbert Dentressangle shares rose 36.3 percent by 0910 GMT on April 29 to 216.8 euros.